On arrival to Santiago, we pick you up from the airport and take you to a comfortable hotel, either in the city center or near the airport – depending on your flight arrival time. Today we pick you up at your hotel in Santiago and take you to the airport for your flights to Calama and the unique Atacama desert – the driest on the planet. San Pedro is an unusual, colorful village located 8.000 ft above sea level in the middle of a green oasis. In the afternoon, we take you to the Moon Valley. The rock formations here make incredible shapes and colors especially around sunset. Return to your San Pedro hotel. Spend your full day tours exploring the villages and landscapes of Atacama. Visit the Gustavo Le Paige Archaeological Museum, which houses a collection of 2,000-year-old Indian mummies and the narrow, adobe streets of San Pedro de Atacama. Then head out into the desert and remote, pre-Colombian viallages of Tulor and Tocano. On the way, we take you to the huge Atacama Salt Lake, an inland sea formed millions of years ago which is made of miles of white salt – a spectacular sight, surrounded by volcanoes and dotted with ble lakes that attract flamingoes. Return to San Pedro. Rise before dawn to drink your morning coffee at the world’s highest geothermal field, and watch the steam from your cup rise along with the spurting fumaroles of the Tatio geysers. Continue through the dramatic, rocky scenery to the village of Machuca. This is a remote and beautiful mountain village which once was a stopping point for the Incas. Return to San Pedro for an optional evening of star gazing. In the morning we pick you up and take you back to Calama for your morning flight to Santiago. After time to freshen up we take you on a half day tour of the highlights of the Chilean capital. 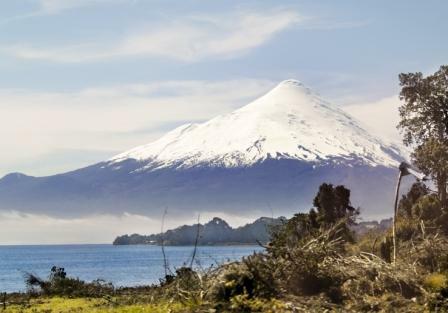 We take you in the morning to Puerto Varas in the heart of Chile´s Patagonian Lake District. The town sits on the edge of Lake Llanquihue and is famous for the roses which bloom all over town from December to March. Above Puerto Varas is the conical peaks of volcanoes Osorno and Calbuco. This is a paradise for lovers of outdoor activities with some of the best rafting, biking and hiking in Chile. 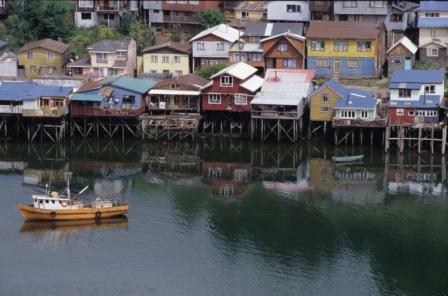 Leave Puerto Varas for a full day tour of the unique and mysterious island of Chiloe. Entering Chiloe across the Chacao Channel, you’ll feel you’ve stepped back in time as you see locals collecting shellfish and farming as they have for centuries. The island features UNESCO-protected wooden churches and a rolling countryside with its own character, distinct from the rest of Chile. 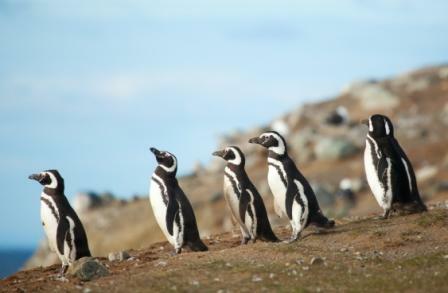 Tour includes a boat trip to the penguin colonies on Pacific Coast to see Magelland and Humbolt penguins. Return to Puerto Varas. 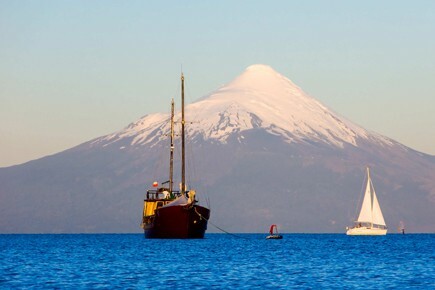 Puerto Varas is at the center of the Chilean Lake Districts outdoor activities. 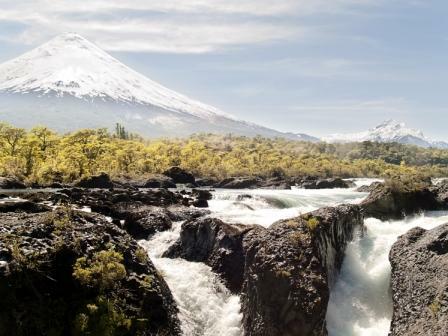 Choose from a trip to Osorno Volcano, white water rafting in Petrohue, kayak on Lake Llanquihue, or go horseback riding or fly fishing. Overnight in Puerto Varas. We take you to the airport for your flight to Santiago and home.